How much revenue is your company losing by turning away customers who use mobile devices? Every day more and more people become increasingly dependent on their smartphones for just about everything they do, from location based search, shopping, socializing, collaborating, making payments, email & much more. Investing in a mobile website today is the best decision your company can make. 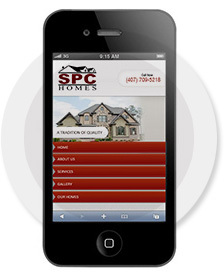 Every sale counts & having a mobile website will ensure that no online visitor is turned away. If you already have a website, we can create a matching mobile site that automatically redirects users on mobile devices. This increases customer engagement & promotes higher conversion rates. 80% of smartphone owners use their devices to search & shop online. Your customers are amongst them. The time to go mobile is now! 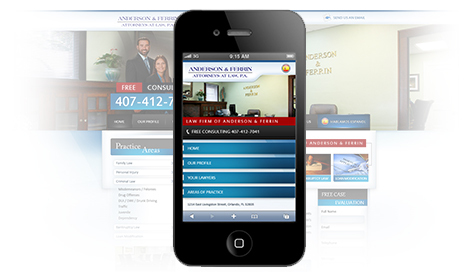 A Responsive design ensures that your website always displays properly no matter the user's screen size. This means you have one website to maintain and that is smartphone, tablet & desktop friendly. Users don't have to scroll or zoom unnecessarily. A responsive website increases conversion rate, saves you on multiple website maintenance costs & tends to rank higher in major search engines.